Today on the Priority Queue, intent-based networking. What is it? What’s it good for? What’s the technical reality? Is it like, “Alexa, make me a network” and then a network magically appears? Sort of. In actuality, there’s a lot more to intent-based networking. There are APIs and message busses and abstraction layers and event handling and state enforcement and compliance reporting and so on. Put another way, intent-based networking is kind of hard, especially when you try to handle complex networks of size and multi-vendor environments. 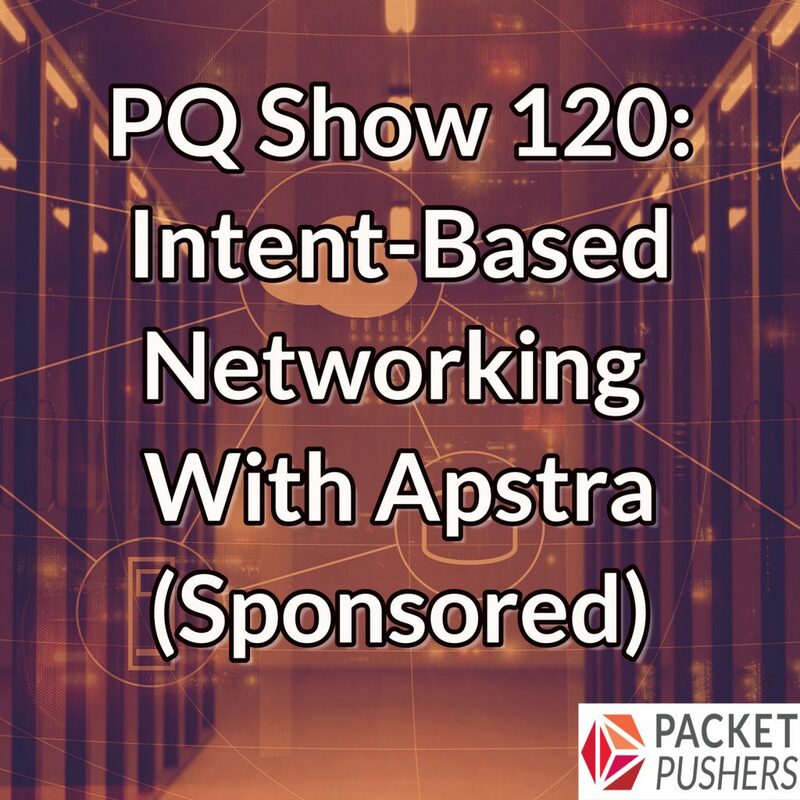 To talk about intent-based networking today, we have a sponsored show with Apstra. Apstra has brought an intent-based networking product to market and is here to explain the concepts and technologies behind its approach. Joining Greg Ferro and Ethan Banks are Sasha Ratkovic, Derick Winkworth, and Douglas Gourlay from Apstra. We talk about why the industry cares about intent, how intent-based networking actually works, and what its impact might be on the careers of network engineers. Informative podcast! I’ve quipped for a number of years that the next step past SDN is “Application Defined Networking.” Intent Based Networking is is pretty close to that. Wait-a-minute, was that not the PROMISE of ACI? Sasha’s speech style reminded me of The Architect from The Matrix. Was it just me or were the sound levels really out? Not because of that but I found this podcast really hard work due to the interruptions and over talk and didn’t stick with it. I also found the language used pointlessly challenging and abstract. Others would probably complain if it wasn’t like that I’m sure.